The standards and alliances landscape for Industry 4.0 (in particular manufacturing) has become crowded and complex. Even for an insider it is difficult to get the full picture.~~Dr. 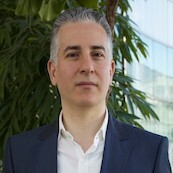 Afif Osseiran we will shed light on the major alliance and standards initiatives the are revolving around the important Industry 4.0 components: analytics, application, cloud and connectivity. He will briefly cover major initiatives such as 3GPP, 5G-ACIA, 5G-Forum, Alliance for Industrial Internet, ECC, FFPA, ECC, ETSI MEC, IIC, Industry 4.0, etc. Afif will give a particular attention to the alliances related to 5G that will provide a unified communication platform for IoT, and where connectivity and in particular wireless communication is a critical component of IoT.